The Walt Disney World Menu Books, were created as a tangible reference for the WDW Concierge Cast to both inform and sell dining locations to WDW Guests. 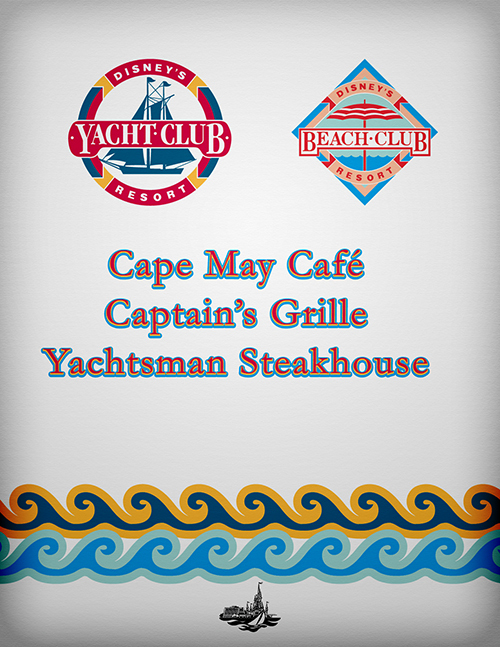 The original version of the resource was contained in a single 3” binder containing nearly all of the property’s 75+ table service locations. Decreasing wear-&-tear was the primary goal, and every decision made towards this goal. First, the collection was split into two sturdy 1-inch volumes (Parks and Resorts). Secondly, the coverage was restricted to those resorts in same category. (This project was done for Deluxe Resorts therefore only deluxe locations would be presented.) In all, over 300 pages of material for each set of volumes with six identical sets being produced (1914 printed pages over the length of the project). Inspired by the shopping bags of the resort from the 70’s & 80’s, the theme parks edition was intentionally designed to be a colorful contrast to the more monochromatic Resorts book for quick identification. In addition, to the pre-existing resources the Earffel Tower and Spaceship Earth icons were custom created for this project. The only known Resort iconography is (what I affectionately call) the” Vacation Kingdom” Logo. This 1971 logo was painstakingly “vectorized” from the original image and then expanded to include the Polynesian, and Grand Floridian Resorts. 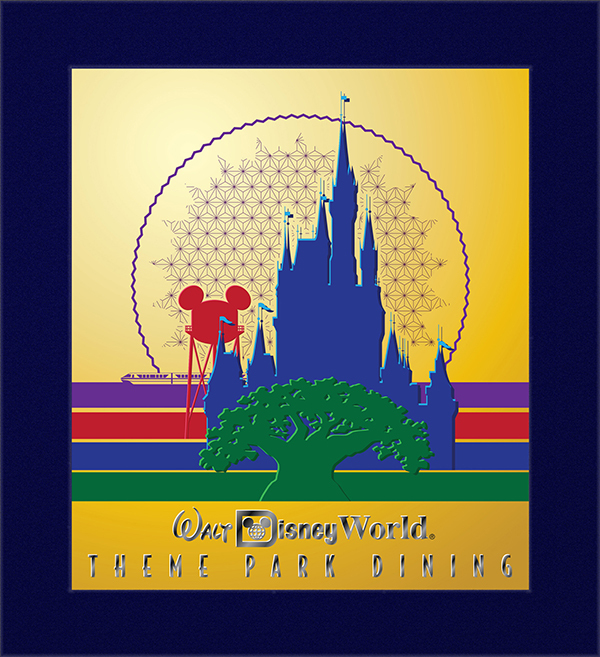 Designed after the Parks binder, with its bright primary colors, this volume was focused on metallic effects. Additionally, (and because Downtown Disney would be included with this Volume) the birds are a direct copy of those found on the original 1975 logos of Lake Buena Vista and the Disney Village.